If you follow the magic dust you will find a world of enchantment full of wonder and smiles. 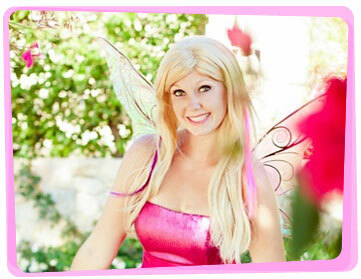 With their bright and beautiful costumes, our party Fairies in Newcastle bring fantasy to life. 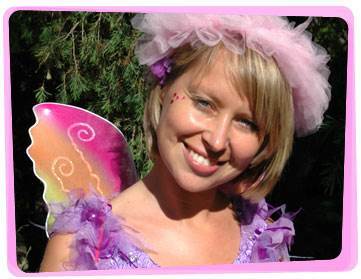 Our fairy for hire will bring some great fairy party ideas for all the kids including a wonderful magic show, face painting, temporary tattoos, balloon sculpting, fairy party games and lots more. 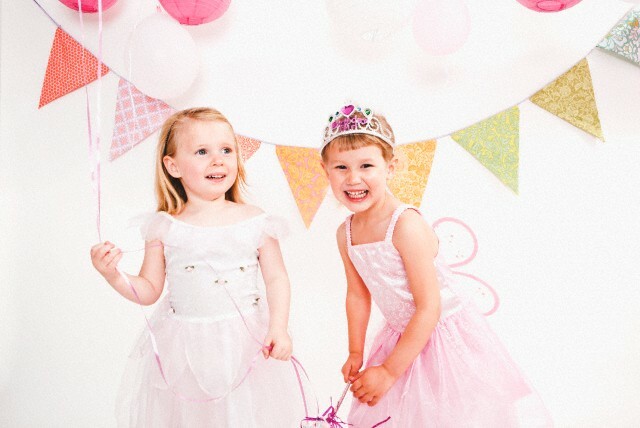 If you hire a Newcastle based fairy, your birthday girl will be given an enormous pair of balloon fairy wings and a balloon wand during the magic show to show how special they are! Over the course of 18 years, we have made not one but tens of thousands of children smile. Our party fairies in Newcastle will enliven any children’s themed fairy party or occasion you may plan. Loking for a fairy game idea to play whilst waiting for your entertainer to arrive? This is a variation of the game Simon Says. It’s definitely one of the simplest, yet most fun games there is! Assign a Head Fairy who will lead the game. The rest of the kids stand facing her so she has their full attention. Fairy says, bark like a dog. Fairy says, reach for the skies. 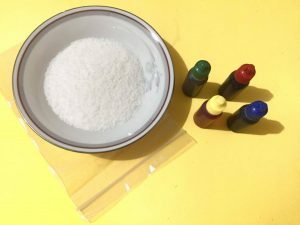 Combine a cup of salt with 9 to 10 drops of food coloring. Release as much air as you can from the ziplock bag, then seal it. 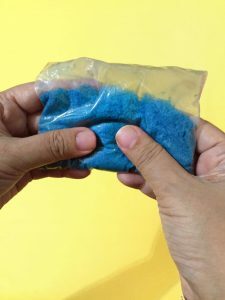 Press different parts of the ziplock bag until all grains of salt have been covered with food coloring. It’s normal to see the salt clumping together, just continue mixing it together. Once that’s done, open the ziplock bag and put the mixture out to dry. This will make the colors more vivid. 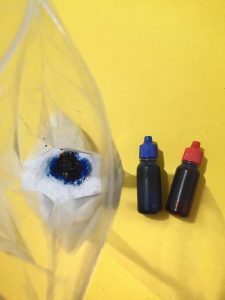 When it’s already dry, put them into small drawstring bags. It’s so easy to do. Make as much as you need. Sprinkle the pixie dust on your lawn. 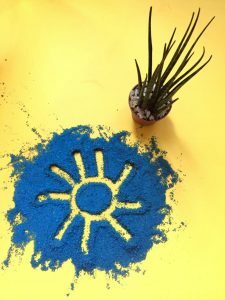 Tell the kids to find the trail of pixie dust and follow it as it leads to fairy treasure. Surprise them with a box of toy wands, glitters, and their own bag of pixie dust! You can find more fairy party decorations and supplies when you drop by Party Things at Unit 3/18 Gateway Boulevard, Morisset Industrial Estate, Morisset, NSW 2264.